The formula for water is H2O. Is the formula for an ice cube H2O squared? 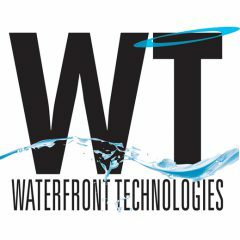 Waterfront Technologies is a marketing and technology firm specializing in highly personalized programs and services. We are a full service company offering graphic arts, brand marketing, programming solutions, custom website design and hosting. Real-time secure & persistent mobile apps that work despite distance or bandwidth through our subsidiary Tricorder Data Systems. Tricorder Data Systems’ On-Demand Mobility (ODM) platform enables new industry capabilities to perform remote: sensor automation; image monitoring/analysis reporting; Facility and Incident Security; WarFighter intercommunication, automation and situational awareness. TDS’s ODM middleware offers: sub-second response per remote client request. 10X to 40X the processing capability resulting in an average grade PC being able to support a thousand remote users/sensors. FIPS140-1 Certified (Triple Data Encryption, 3DES), FIPS140-2 Compliant (Advance Encryption Standard, AES) security. 99.9999% transaction reliability and a 95% reduction in communication bandwidth costs.